I begin planning for Halloween gift packagings that I'll be shipping to my folks in Florida and my far-away friends who live around the country. Over the past few months, I've stashed away ideas for snacks and candies, gift wrapping and canned treats. To be honest, I'm not sure who enjoys these care packages more, those receiving them or me. Gathering all the craft supplies and putting the Halloween treat boxes together is just plain fun. 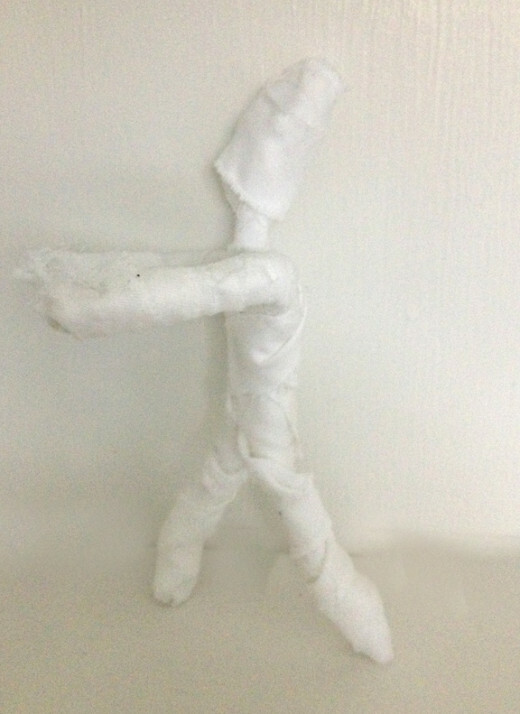 This year, I decided to make a few moveable mummy dolls. I thought that I would have a mummy holding a small bag of chocolates or snuggling a bottle of root beer we made. These Halloween packages can begin to get a bit expensive with all the various treats and shipping fees, so I try to be frugal with my crafting and use things that I have on hand. It's surprising the adorable creations that can be made by simply using things that you probably have stashed in a drawer around your house. 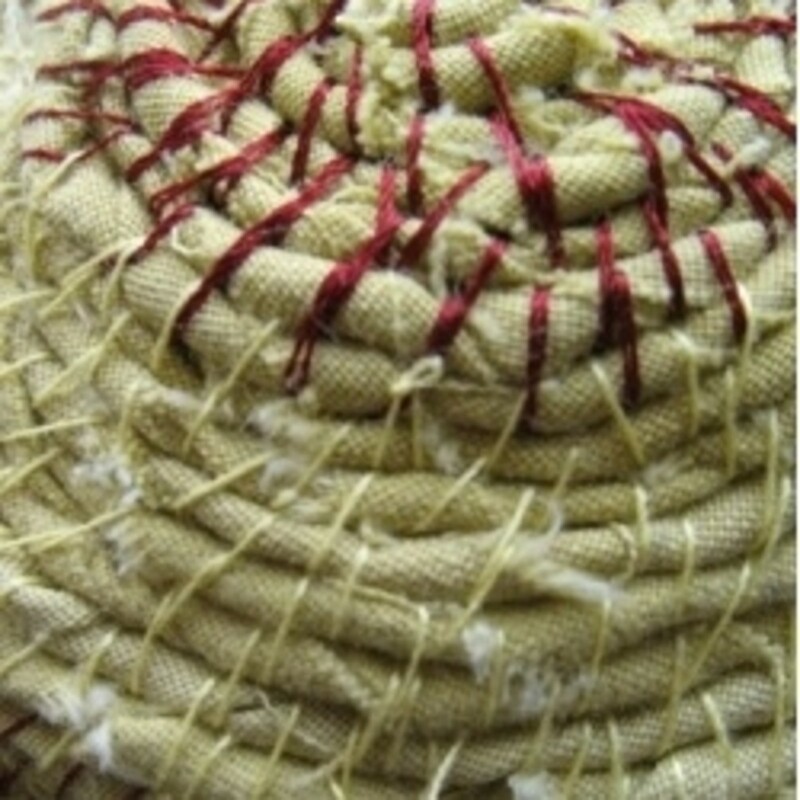 A flexible, coated wire works best for this project. I didn't have any on hand, but I did have a scrap of electrical cable in our garage that I thought would work just fine. 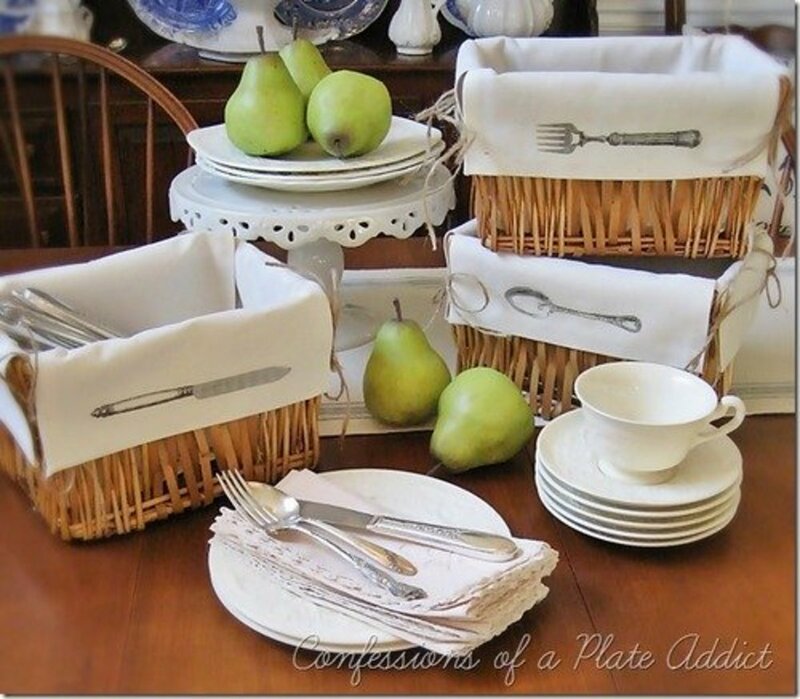 Before headed to your local craft supply store, take a moment to rummage around your house. Using a sharp blade, I sliced down the length of the yellow casing that enclosed the group of electrical wires. Then I merely peeled the protective coating back revealing the black, copper and white wires. These wires were slightly stiffer than I wanted, but with a bit of coaxing, they would ultimately be fine. Each wire measured approximately 31 inches long. Each finished mummy measures 8 inches. 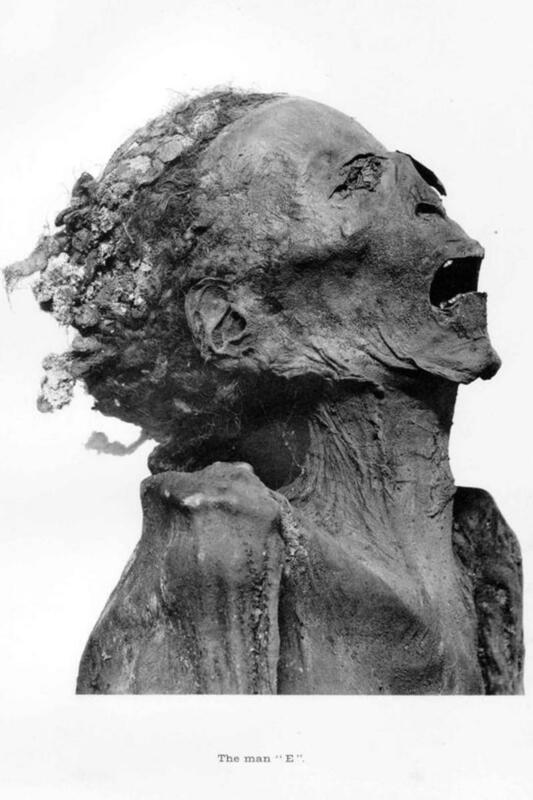 The size of your mummies or how many mummies you'd like to make depends on how much wire you have on hand. Creating a variety of sizes would be quite fun. 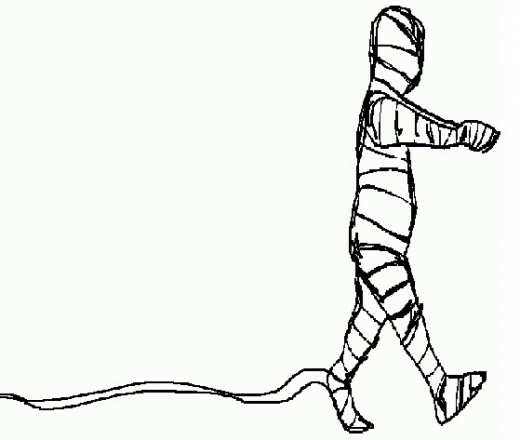 Shaping your mummy can be done by hand, unless, your wire is too stiff. 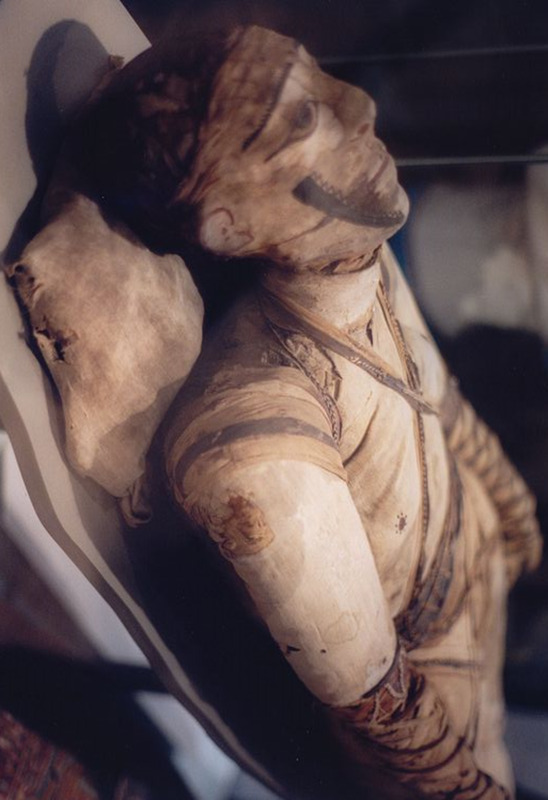 If you did not use flexible wire, you'll most likely need a pair of pliers to help form the mummy shape. 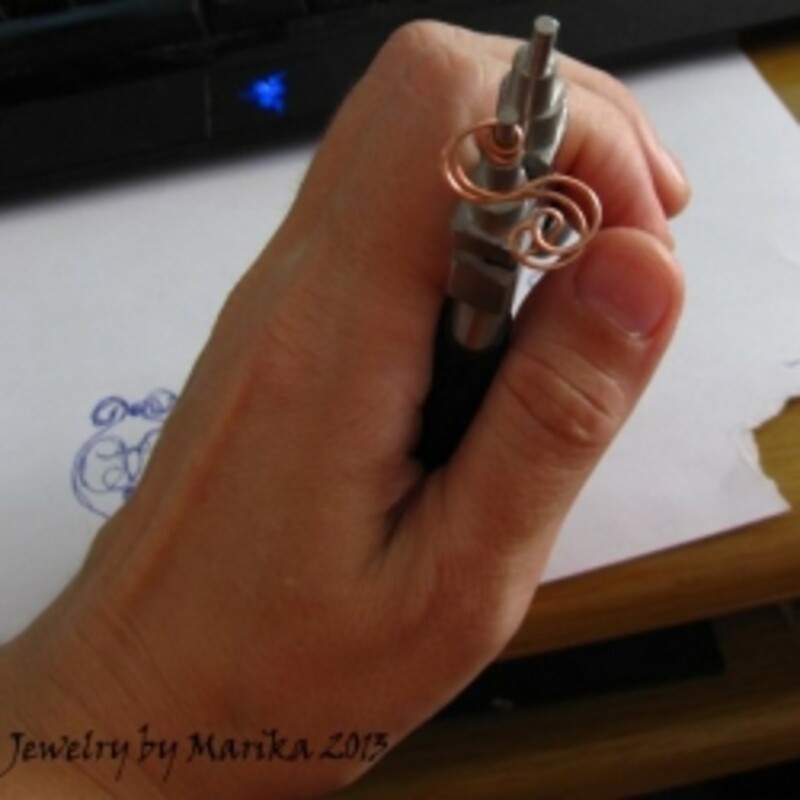 Begin by wrapping one end of the wire into a small ball. That will be the head of the mummy. 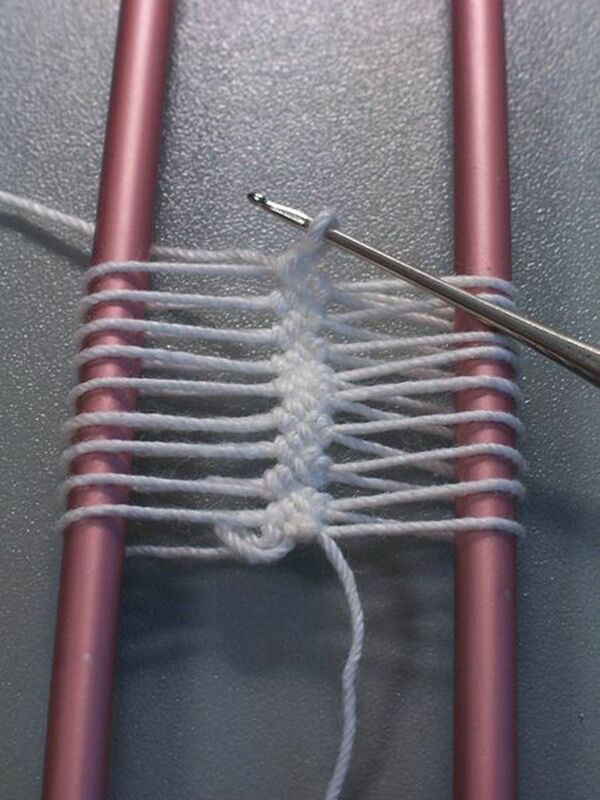 Continue by shaping the wire into arms and legs (see image below for close-up). Super flex wire. 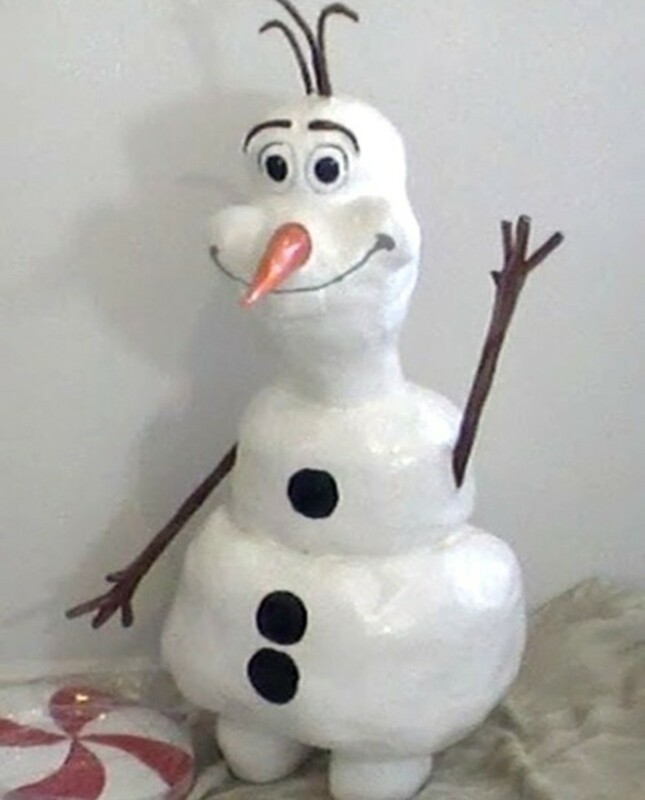 Easy to shape and form using just your hands. I had a few different materials that I wanted to use to make my mummies. 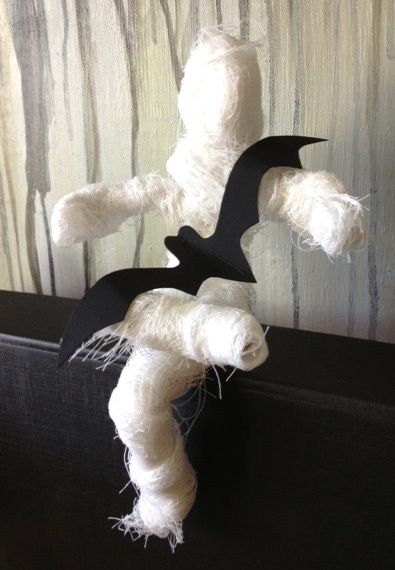 I still had plenty of gauze from last year's Halloween craft supplies. 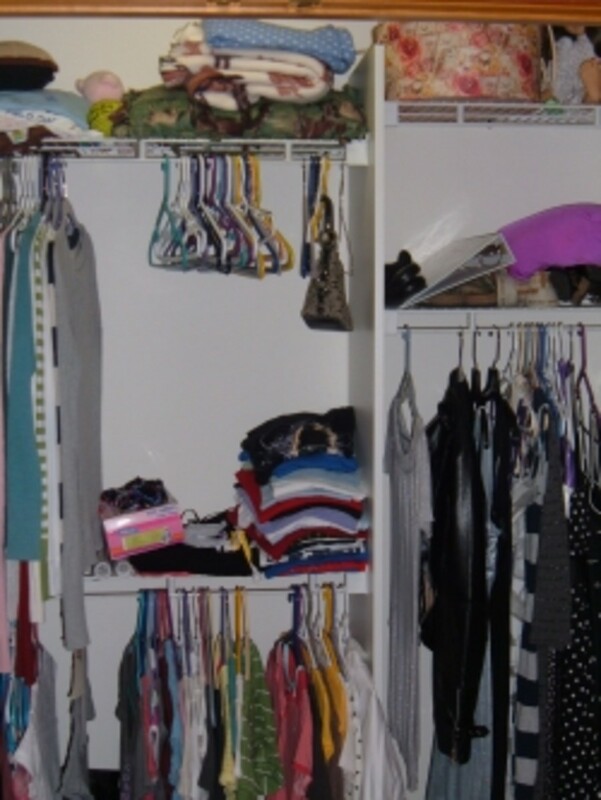 I also had a few different fabric remnants hanging around that I could use. In addition to the various materials, I tried a few methods using the fabric. Taking a pair of shears, I simply cut strips of fabric. I then ripped strips of fabric. As you can see from the photo, the pile of torn fabric varies in sizes. Several strips were wider, others were so thin that they began to roll in on themselves. I would also cut the gauze into narrow strips. 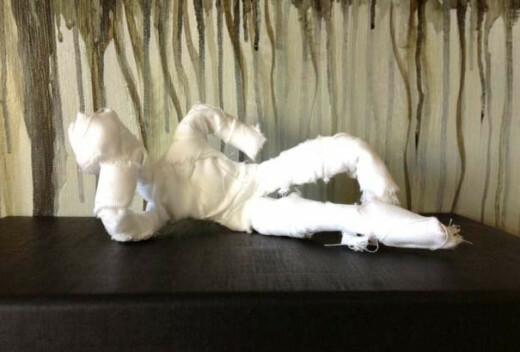 Although wrapping the mummy bodies is very easy, working with the gauze was a bit harder. 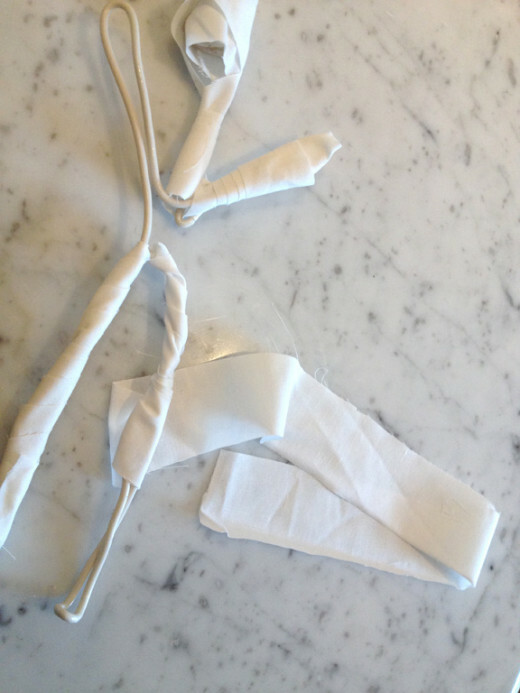 I used a glue gun to occasionally hold the gauze or fabric in place while I continued to wrap the wire. As you would expect, the hot glue seeped through the gauze and was often too hot to handle. When I completed making all my mummies, I thought they were all darn cute. Ultimately, I would, however, decide that I liked the look of the torn fabric best. As I had first done with the wire, I began wrapping the fabric around the head of the mummy. I worked from the head down, wrapping fabric this way and that until my mummy began to take shape in that oh-so imperfect way. When I had reached the end of the wire where hands and feet would be, I tucked the fabric back onto itself and continued wrapping. My mummies don't have discernible hands and feet and, frankly, I like them that way. They look a bit primitive and that simple adds to their charm. As you're working, you may decide that your mummy just doesn't look quite right. 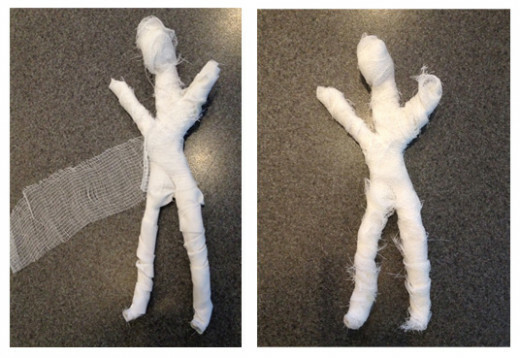 As I was wrapping gauze around my first mummy, I noticed that the mummy's neck was longer than I wanted. I just reworked the wire and make the neck shorter. Your mummies do not need to be perfectly shaped, however. If you are planning on creating several mummies, you may decide to intentionally make them all slightly different. Let's face it, Halloween is just as fun for adults as it is for kids. 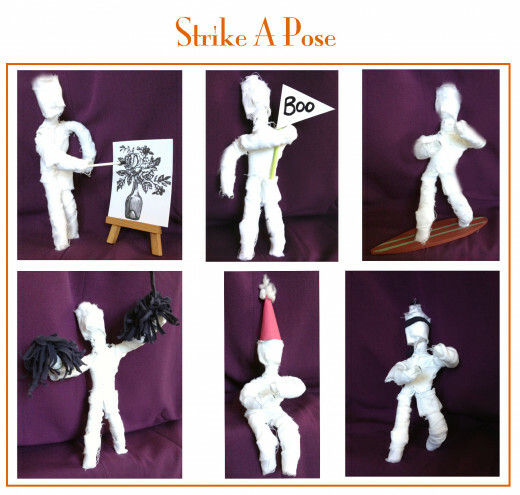 After making these mummies, I couldn't help but move them around the house and create little action poses. 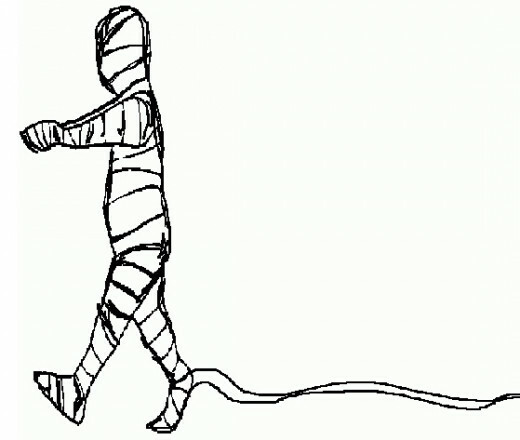 I'm already thinking that next year, I'll make another mummy and hide him around the house. If my husband or friends can find him, they'll get a treat. With little scraps of paper and tiny trinkets, I began giving the mummies a bit of personality. 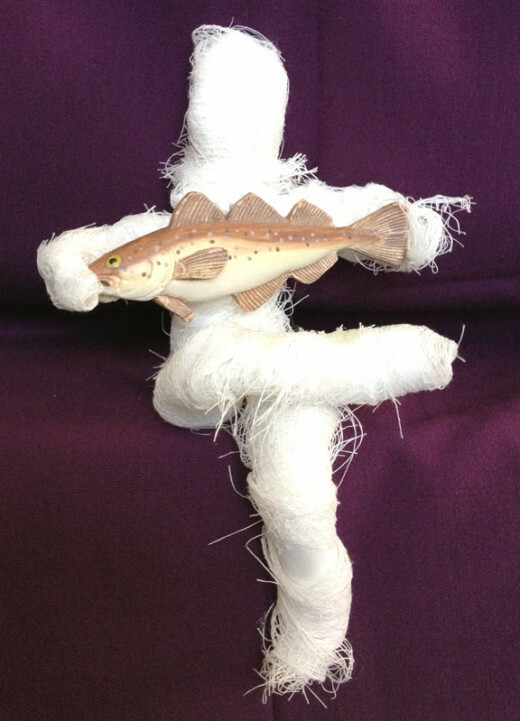 This fish, for example, was attached to a present my husband received from my mom. Now, it looks right at home tucked between the arms of this mummy. If you're planning on embellishing your mummies, try finding knick-knacks at the dollar store, the craft store and the pop-up Halloween stores that come around each season. Also, when giving your mummies personality, try different poses. Have them lean, sit, jump and stretch. Perch a mummy atop the TV, dangle him from underneath a lamp shade, crouched behind a bed pillow, tucked among the sock drawer. If you're going to hide your mummy around the house, think about tucking him among your decor that makes them appear nearly alive. 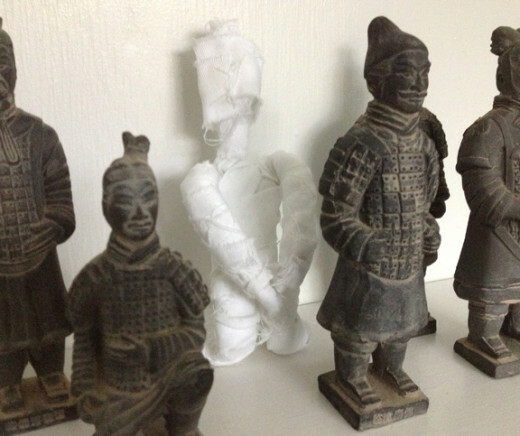 Here, a mummy kneels incognito among the souvenirs from a trip to China. Pumpkin Martini Recipe For Halloween-Just Attached Your Mummy! I love your Mummies :D excellent idea! These were fun to make. So pleased that you found me, Eddy. Original and so interesting. Thank you so much for sharing and I now look forward to many more by you. Okay, the craft idea is really cool, but I'm more impressed by the tradition of sending packages to your folks. I think that is really cool, and I love the fact that you enjoy doing it so much. Great hub!